Currently, whenever I find any interesting grilled cheese news/recipes/etc, I simply post them to GrilledShane’s Facebook page and call it a day, totally ignoring the blog. However, that is not how it should be. This blog should not be only about my own personal grilled cheese creations, it should be “all things grilled cheese.” From now on, instead of posting each individual item I stumble on only on Facebook, I will be posting roundups right here that highlight that day (or weeks) interesting grilled cheese web finds. I hope for this to be a regular feature, as long as I have the content. If you find anything grilled cheese related that you would like to share, either post it on the Facebook page or email me at grilledcheese [at] grilledshane.com. Thanks! Long live the grilled cheese! This tip actually comes from an early episode of Jamie’s Kitchen, the British documentary where Jamie trains a group of unemployed, under-educated youths to run one of his restaurants. In the episode, Jamie is making a meal for his family before heading off to train his young chefs. 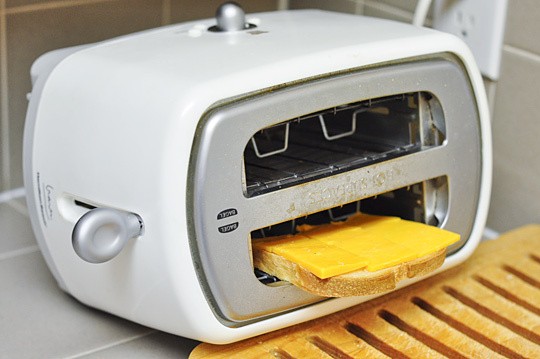 I don’t have a toaster, anywhere in the house, but if I did, I would definitely try this out. What do you think? Do you truly think this would work? 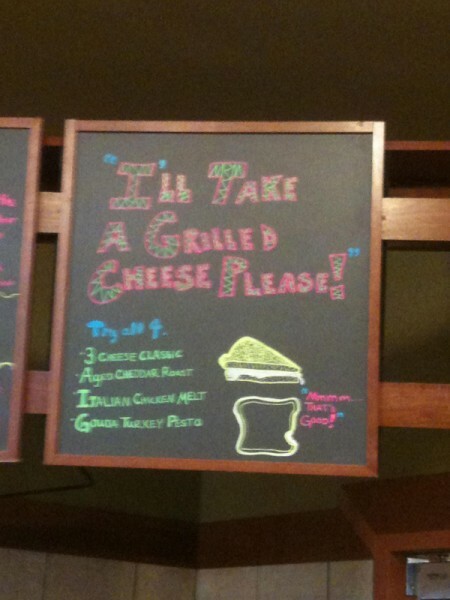 Would it be as good as a grilled cheese? 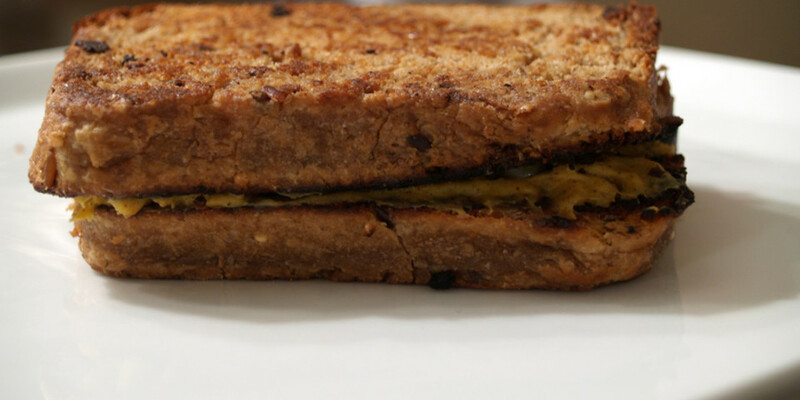 I know your thinking ‘She just posted a grilled sandwich recipe just a few weeks ago”…. but this isn’t your typical grilled sandwich. 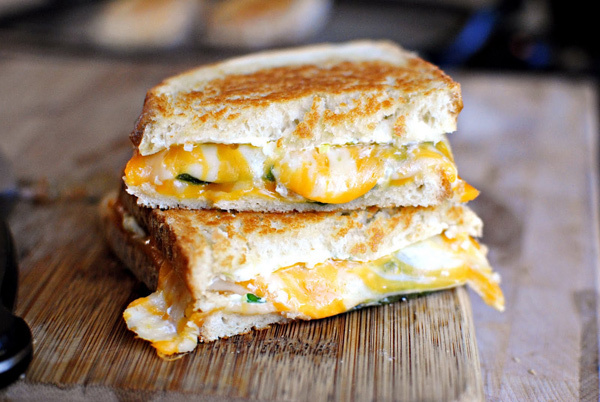 It’s a jalapeno popper… but in grilled cheese form. And I just couldn’t wait to share it! Mmmmm. I have only had jalapeno poppers a couple of times, but each time, I loved them. A grilled cheese with a kick is never a bad thing. I will definitely need to try this. Try one of our tasty new Grown-up Grilled Cheese sandwiches. Click here for a list of participating Caribou locations. As someone who keeps Kosher, I can only eat the Three Cheese Classic, but it is still great to see a coffee house serve grown-up grilled cheese. Which one would you try? 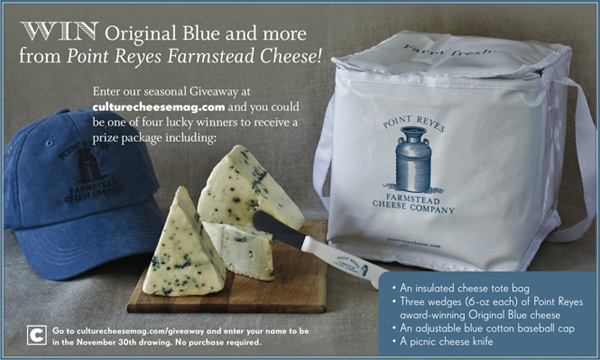 Fall Giveaway: Point Reyes Original Blue Cheese and more! 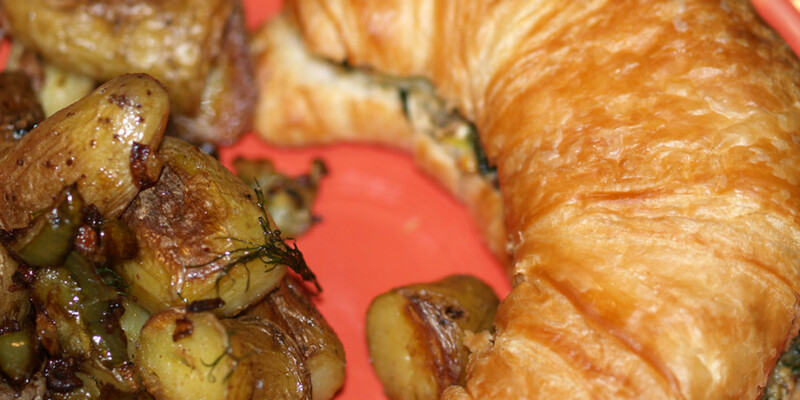 Enter to win Point Reyes Farmstead Cheese, among other things. Sounds like a good deal to me, yes? The video, called “Back to the Start,” tells the story of an adorable farmer who turns his organic farm into a huge factory farm only to realize the error of his ways. The message: Industry and science are hurting the animals and food that we eat. Personally, I am not sure I like Willie Nelson’s version of a very good Coldplay song, but I do love the video and the meaning behind it. Although Chipotle‘s founder Steve Ells bugged the hell out of me on America’s Next Great Restaurant, his company does seem to get it. Tech’s next industry trend: Grilled cheese? San Francisco (CNN) — While much of the technology industry scrambles to embrace tablets as the next big thing, veteran Jonathan Kaplan is applying his tech savvy to a completely different market: grilled-cheese sandwiches. Even stranger than that? He’s not alone. Who knows if a grilled cheese cooked and ready in two-minutes would actually be good? Have you been to The Melt yet? Is it good? What are your thoughts?